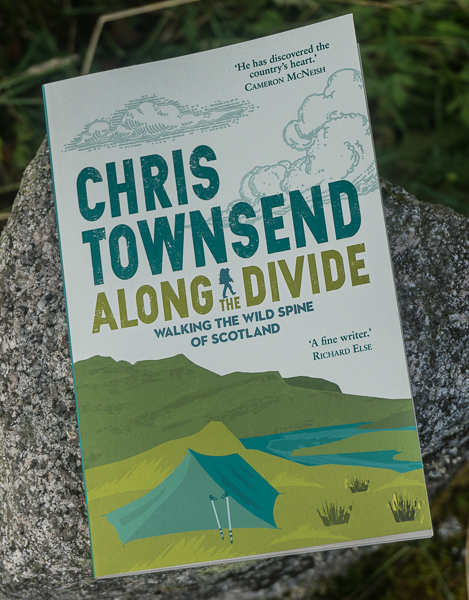 Chris Townsend Outdoors: Protect Scottish Wild Land! Object to a windfarm above Loch Rannoch. Protect Scottish Wild Land! Object to a windfarm above Loch Rannoch. View over Loch Rannoch from the Glen Lyon hills. Ben Alder is on the skyline on the right of the photo. The wind farm site is the mid ground between Loch Rannoch and Ben Alder. UPDATE: October 30, 2015. Great News! Application rejected on a technicality. The Talladh-a-Bheithe wind farm application has been rejected as 'non-competent' because the company behind it wasn't legally incorporated. 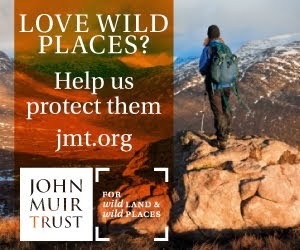 Comments from the John Muir Trust here. Here's an account and pictures of my visit to Talladh-a-Bheithe last autumn, which I think shows just why a windfarm shouldn't be built here. 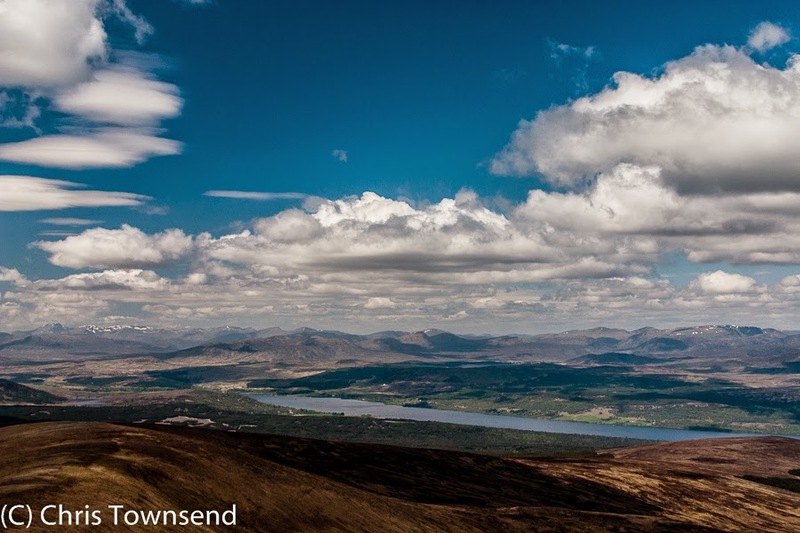 Last month, on the same day that Scottish Natural Heritage launched a new Wild Land Map, a developer put in an application for a wind farm in the heart of wild land between Loch Rannoch and Loch Ericht. If it goes ahead this Talladh-a-Bheithe wind farm will in my opinion, and that of many others, be one of the most damaging yet, destroying the feeling of wildness and natural beauty for miles around. Looking at the maps it’s clear that the 24 proposed 125 metre high turbines will be visible from many summits including Schiehallion, and also the A82 road and the scenic West Highland Railway. To see just how disastrous this wind farm would be see Alan Sloman’s excellent and passionate blog post, which has maps showing just how visible the wind farm will be and its proposed location, as well as links to some heartfelt objections. 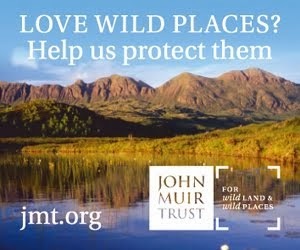 The John Muir Trust says that if this wind farm goes ahead it would ‘fatally undermine’ the wild land map. I agree. If the wild land map and the protection for wild land in the new planning policy (which I wrote about here) are to have any meaning or credibility this wind farm must not go ahead. Tourism is vital to the economy and many of those involved are campaigning against the wind farm as it stands to severely damage or even wipe out their businesses. Visitors come to experience nature and the beauty of the landscape, not huge industrial developments. Local businesses are being supported by the Mountaineering Council of Scotland. The company proposing the wind farm are from the Netherlands, Eventus BV. The Talladh-a-Bheithe landowner is a major shareholder of Eventus BV. I guess he stands to make a fortune. The company is also challenging SNH on the validity of the wild land map. More information is available on the Keep Rannoch Wild website. This organisation is well worthy of support. Object Now! Just One Week Left. Now is the time to make objections to the application for this wind farm. Indeed, the opportunity closes on August 5th. I urge everyone who cares about wild land and the Scottish landscape to object. Objections can be as long or short as you like. It’s numbers that count. Objections can be sent to representations@scotland.gsi.gov.uk. I thought Stronelairg wind farm in the Monadhliath was bad enough but this application is another step to far. A great advocacy you have here Chris! It's great to know people like you who stands up and pushes the right to preserve wildlife. More power to you and your campaign! This is location where you would expect even a suggestion of turbines to be ridiculed as preposterous. My objection will be on its way very shortly. Triodos Bank, Regional office - Scotland. Triodos Bank is a proudly ethical responsible bank and they might be very responsive to a strong community backed objection especially if the local community, John Muir Trust, BMC and the like are supporting this. They act as preferred financing bank for Eventus Duurzaam B.V. which is basically a private equity fund with a focus on the environment. Both Eventus Duurzaam B.V. and Triodos headoffice are within 20 km of where I live, and Triodos is the bank I use for my business. Thanks Rolf for that information. Very useful. I've had a reply from Triodos in the Netherlands saying they are not involved in this project and asking why I sent the objection to them. Well done Chris, a strongly worded objection has been posted. Great Post Chris. I'm not sure if they have heard your plea regarding windfarm project above Loch Rannoch and cancelled their plan. One thing is for sure you have done your part and serve as an eye opener for your people. Protect Scottish Wild Land!